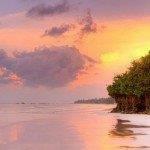 Return flights from the UK cities to Mombasa, Kenya from £334! Cheap direct flights from Milan to Accra, Ghana from €297! Return flights to Panama from Germany from €374! Planning your trip to second largest city in Kenya is possible with SkyTeam airlines Air France-KLM and Kenya Airways. Return flights from many cities in the UK to Mombasa, on the east coast of Kenya. Look for flihgts departing from London, Inverness, Birmingham, Manchester, Southampton, Newastle. Leeds, Glasgow or Edinburgh. Roundtrip tickets available already for £334 incl. all taxes and fees, meals and checked luggage. Looking for budget holidays in exotic destination in Africa this is a good choice also when traveling at the end of current or beginning of next main tourist season. Air France-KLM conditions of this promotion. : Look for flights from February to June or September to December 2019. Blackout period around Christmas Holidays. Max stay 3 months. Book this discount by end of February or until sold out. Need your hotel room in Mombasa, Kenya you can use Hotels.com or Booking.com. Note that the cheapest flights require additional layover and/or long stop in Nairobi but you can also find flights with just one short layover just consider this before you book..
Booking sample of Air France/KLM promotional sale offering cheap return flights from the UK cities to Mombasa, Kenya from £334! As per our booking sample you would depart from London to this African country on Sunday, 3rd of March. Return from Mombasa back to the United Kingdom on 18th of March 2019.